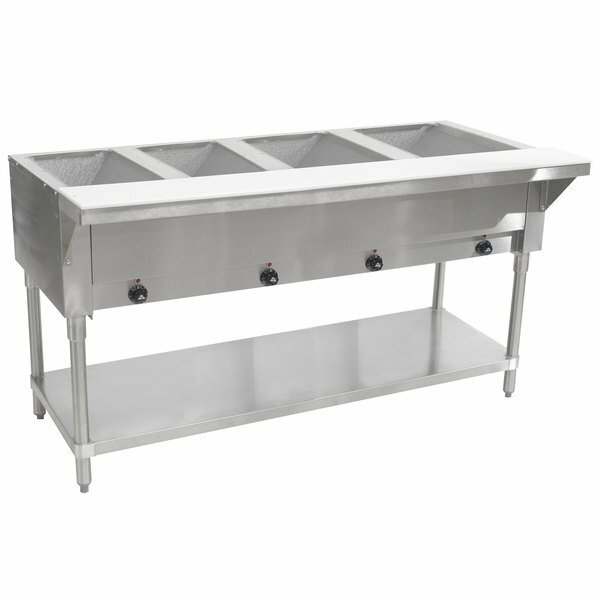 Advance Tabco TOS-4 Stainless Steel Double Overshelf - 12" x 62 3/8"
Keep all of your menu items piping hot and readily available with the Advance Tabco HF-4E-240 four well electric open well steam table! 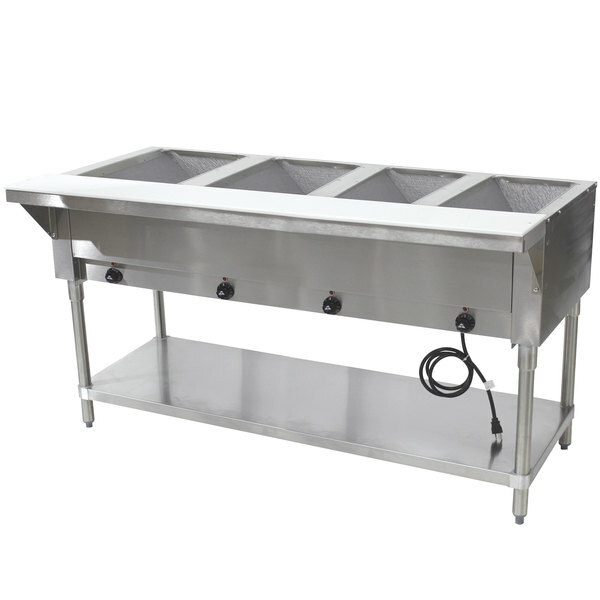 This powerful warming and holding unit can hold four 12" x 20" food pans full of pasta, meat, or other delicious foods in each well.This unit has a top made from 20 gauge type 302 stainless steel with die stamped pan openings, plus a body made from 22 gauge type 430 stainless steel. The sturdy legs are made with 1 5/8" diameter tubular galvanized steel, and adjustable bullet feet will accommodate different types of floors. The durable undershelf is easy to assemble and adjust as needed. It's great for storing extra serving utensils, food pans, lids, and more to keep all of the tools you need close at hand. The non-marking plastic bullet feet ensure that your floors are protected, while the white thermoplastic full length cutting board gives you a little extra work space for changing out food pans or filling plates. For convenient cleaning, this cutting board is also removable, and it is supported by a full length shelf, ensuring excellent stability. Fiberglass insulation between the wells allows for better heat retention and different holding temperatures for each well. For optimum heating versatility and temperature retention, each individual well is warmed by an exposed, easy-to-clean heating element independently controlled by an infinite control knob. These knobs are recessed to help prevent clogging from spilled food. This unit is intended for dry use; spillage pans must be used for hot water bath. It requires a 208/240V electrical connection. Work horse of a steam table! Provides steady, consistent heat to keep food items hot and fresh to serve up to customers. 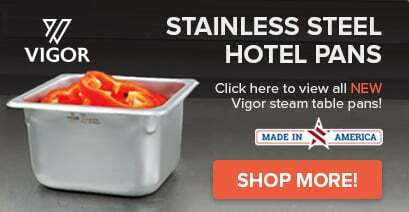 We use with spillage pans to create moist heat, without the hassle of having to have drain lines, plumbing, etc. Great for meeting health code and having the option to work with dry heat, if you need to. The 120 volt model does NOT have a standard 5-15P plug, but an L5-30P twist lock instead. Be sure you can accommodate that type of outlet first, so you can avoid any headaches or extra costs down the line. Highly recommended product. The Advance Tabco HF-4-E Four Pan Electric Steam Table with Undershelf-Open Well is working great. We had to replace the electrical cord because we did not have the right outlet for this table. The table fits our nutrition site perfect. Very easy to operate and clean. We had our first soft opening in our food truck this week. All of the bbq was stored in our new advance tabco electric steam table. We were so pleased with how it works. The undershelf is also a great place for storage. We ordered this for our line and is a great product. 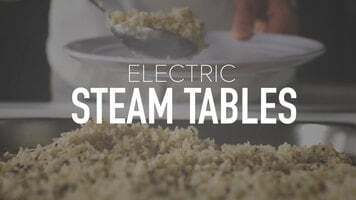 This steam table works great and holds food at the proper temperatures. Fits perfectly in the space and plenty of storage or the bottom shelve.